Librarians resist. And now libraries matter more than ever. I am so excited about another book in the His Dark Materials universe. Ian McKellen, Shakespeare, and immigration. One of my favorite college professors on turning to poetry in times when words otherwise fail us. Gender identity and sexuality and the next generation. A win for Team Oxford Comma. But sometimes it’s okay to bend the grammar rules. Death and Jane Austen’s unfinished novel. And then the murders began. Pixar, tell me your secrets. Why we need national support for the arts and humanities. Great list of YA books about refugees. Maybe it’s time to break up with your agent. Parsing the helpful feedback from the not-so-helpful. What it actually looks like to write (and finish) a novel. Great suggestions for writing through the middle. In case you’re looking for a fantasy series to dive into. I’m a big Lumberjanes fan. And speaking of summer camp books. Or maybe you’re more into the idea of a summer road trip. You could also map out your own trip to see American literary landmarks. Dr. Seuss could have hung out with Don Draper. I love the idea of expanding a known universe (in this case, Twilight) with mini-movies. This fairy tale illustration exhibit sounds awesome. David Bowie is the coolest. Dropping out of art school. “If you liked something, there was this real sense of solitude with your interest. It was so rare to find someone who shared your interest, and when you did find someone, you clung to that person, even if you weren’t the best match, because it was so rare to find someone.” Rainbow Rowell on how great the internet is for fans of all kinds. And John Green on how great the internet is for learning communities. Some fantastic feminist YA reads. Welcome to Hufflepuff, Newt Scamander. The Librarian of Congress position is about to be open. Tonight’s the Night: Boston Teen Author Festival Sneak Preview! 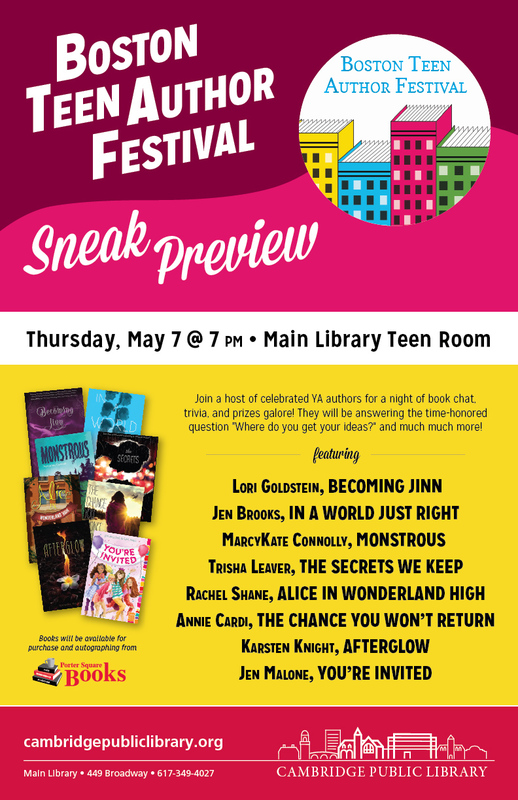 I’m so psyched to join several other awesome YA/MG authors for tonight’s special Boston Teen Author Festival sneak preview! In addition to great conversation about the literary life, you’ll have the chance to win books and other swag by showing off all your bookish trivia knowledge. Between the trivia and the cupcakes, you cannot miss this. Come say hi, snag a cupcake, and win awesome book swag. See you tonight! I’ve said it before and I’ll say it again: Tumblr is awesome for writers. I’m all for ‘they’ as a singular pronoun. Survey says authors like their publishers, wish they got more marketing. As if I didn’t already love London. Security, fear, and a passage cut from A Wrinkle in Time. These bookmarks are way cuter than the library receipts I usually end up using. This year’s 2015 Teens’ Top Ten Nominees from ALA include ’14 debut author favorites Lies We Tell Ourselves and Midnight Thief. Looking back on the illustrations of Margaret Bloy Graham. A call for diverse children’s books on the international scale. YA characters who love poetry. “Libraries are the public institutions that exist to nurture cultural literacy, lifelong learning, and bringing its community together.” The Ferguson Library Director on the necessity of libraries in their communities. Allusions to Milton and other ways to win a Pulitzer. The Queer Young Adult Literature Conference sounds awesome. And some under-the-radar LGBTQ YA reads. Yes, adults can enjoy YA novels. A conversation about writing and motherhood. The Library of Congress is sharing a giant poetry reading archive. Bringing books to incarcerated mothers and their babies. I’m subscribing to all of these bookish podcasts. Libraries are awesome–why shouldn’t ghosts like them too? Check out this list of haunted libraries. Speaking of haunted libraries, Walt and I should check these libraries out the next time we’re in Pittsburgh. Gorgeous and creepy Japanese monsters from the Kaibutsu Ehon. When I was a kid, Are You Afraid of the Dark was the scariest show ever. They even made books creepy! Because Buffy’s the best, a look at Buffy and the reversal of Halloween. And if you need to get in the Halloween spirit (pun intended), head over to my Tumblr for a bunch of spooky songs. Make sure to click through for the rest of their fantastic suggestions. 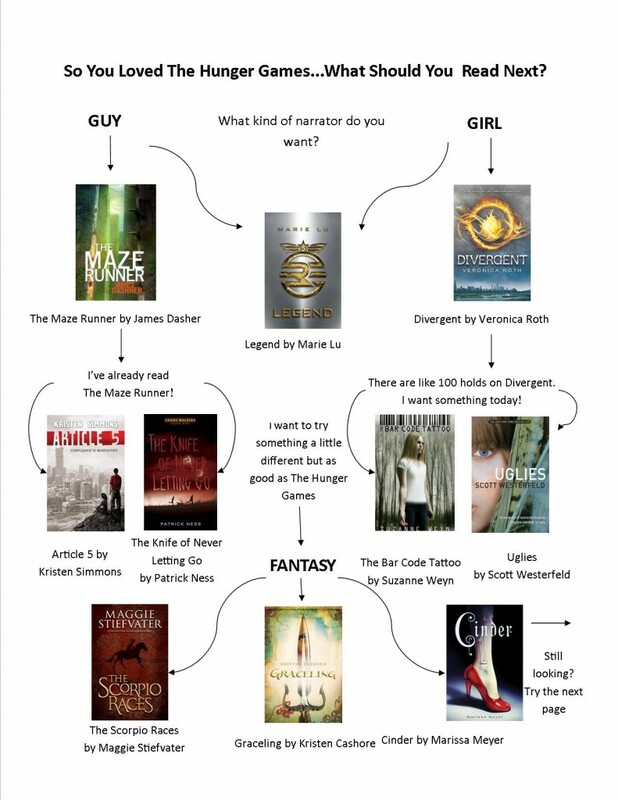 I might take some of these recommendations to share with my YA Dystopian Society Book Club. 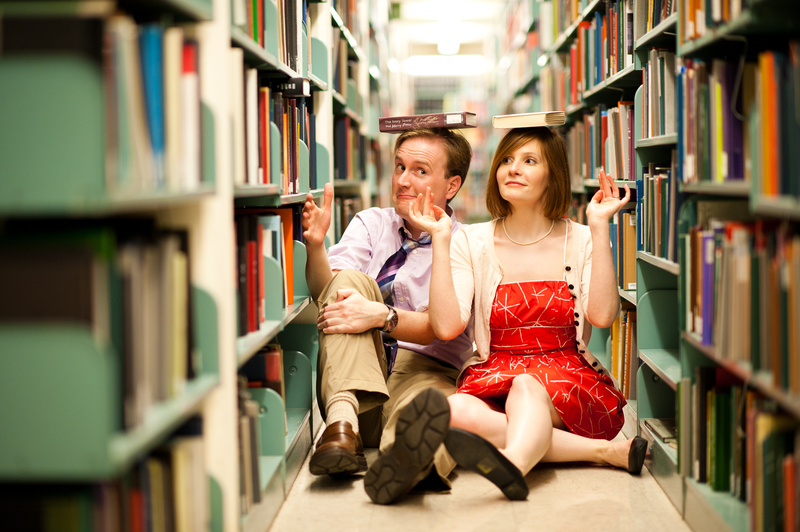 Sometimes Alderman Library inspires silliness instead of scholarship. And rare books aren’t just a matter of leather and fine paper. Mr. Suarez has added a number of classes about digitization and likes to begin his own course, Teaching the History of the Book, by passing around a box of Harlequins. Romance novels, he notes, are the biggest part of the publishing industry, and the part that has been most radically transformed by e-books. Would love to hear the Rare Book School’s take on children’s literature. Make sure to check out the rest of the article. If you’re like me, you might be getting started on the application for next summer’s Rare Book School session. It was created by artist Massimo Bartolini for a Belgian art festival. 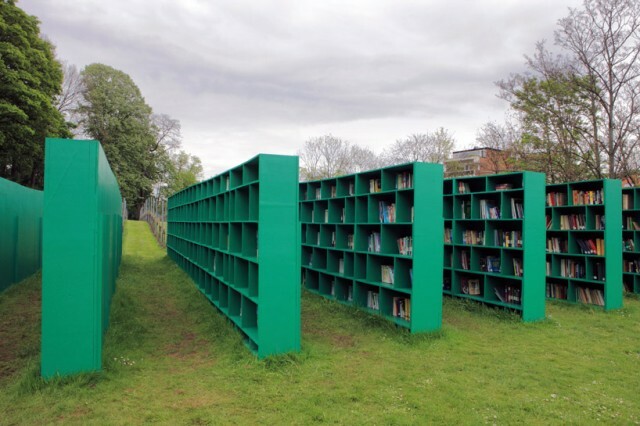 So it doesn’t seem like this will be a permanent installation, but I love the idea. Check out all images through the link.